In this blog post, Mark Organ writes about what it takes to become a better content marketer. According to Organ, marketers spend as much as 87 percent of their time grinding away at content strategy and creation. They take a keyword they think is important, write a blog post about it, then share it on social. Lather, rinse, repeat. However, this conveyor belt method of content creation often churns out pieces that lack one thing buyers crave: authenticity. 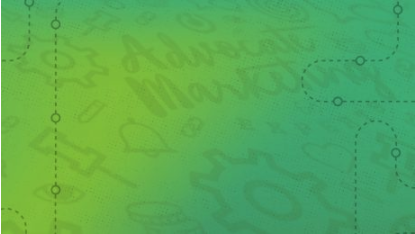 In this post, Sonia Chavez, Advocate Marketing Manager at Cisco, will walk you through how the Cisco advocacy program works, their results, and tips for building your own successful customer engagement and advocacy strategy. In the software space, the quality of your reviews can make or break your sales and give you a competitive advantage even in the most crowded spaces. Marketo’s goal was to tackle this head on and drive their position on 3rd party review sites. To quarterback this initiative, Katie Pope and the customer marketing team at Marketo developed an integrated product review campaign through their advocate community, PurpleSelect. This advocate-driven integrated campaign ended up resulting 538 net-new reviews across all their review sites, and won them the ‘Best Product Review Campaign’ BAMMIE award! In this video, learn how Katie, who now leads customer marketing at Iterable, was able to mobilize their advocates at scale to help drive target business goals. How to Achieve Customer Advocacy Program Success in 2017. Only 10% of B2B IT vendors had established customer advocacy programs in 2016 - despite it being named one of the top 5 most important competencies for marketing success, according to research by IDC. In a year, that's drastically changed. 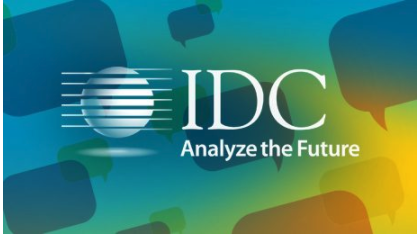 Find out the reasons behind this sudden growth (hint: increased acquisition and retention) and learn how to leverage customer advocacy as a competitive advantage in this report from IDC analysts Mary Wardley and Andrew LeClair. Here at Influitive we created the Best Advocate Marketing Awards (a.k.a. The BAMMIES). They honor ten incredible teams who put their advocates (customer, partner, or employee) at the heart of their growth strategies. And, each year, we reveal the tactics, strategies, and programs these award-winning companies used to engage customers and deliver value to their businesses in an annual eBook (which has been downloaded over 1,700 times the past few years.). Best-selling author and advisor Geoffrey Moore will discuss why authenticity and advocacy are important pillars for every modern company’s marketing strategy. He will also dive into his framework for communicating authenticity in the marketplace, and the metrics companies should use to gauge their success. This article from MITSloan Management Review highlights the value of storytelling in marketing. New research finds that sharing consumers' positive stories about a brand can be a highly effective online marketing strategy.! From high-growth startups to multinational enterprises, every B2B company wants to know how to get more customer referrals. But asking for referrals can be awkward. Even if you have an awesome product and a stellar customer experience, you may be afraid of coming off as desperate or annoying your customers. The good news: your happiest customers actually want to give you referrals! According to an Advisor Impact study, 83% of satisfied customers say they would be more than willing to refer your company to friends, colleagues and industry peers. The bad news: on average, only 29% do. Why? They haven’t been asked in the right way. Here are 7 referral program best practices that will help you tap into your loving customer base and generate a consistent stream of high-quality referral leads. Larisa Sandu is the Advocate Marketing Manager at Procore Technologies and a two-time BAMMIE award winner, recently winning the 2017 title of Advocate Marketer of the Year. Through the Procore advocate community, powered by Influitive, Larisa has been able to leverage advocates to influence sales revenue, and bring in over 1000 referrals, 43 of them which have already been closed/won! How did you originally get buy in from internal stakeholders? What qualifying questions do you ask your advocates for your referral program? How do you educate your advocates on the types of referrals you’re looking for? From marketing backwater to starring role, this eBook explores the changes taking place in customer marketing from the perspective of customer marketers themselves (and explains just why it’s so crucial to customer engagement). Psst! We're going to let you in on a little secret. Negative reviews may actually be your largest untapped resource. We know, the thought of getting negative reviews is uncomfortable at best and panic-inducing at worst. However, they can really be a good thing. Nicole Dingley, Director of Customer Success at Wiley Education, was looking to shake up how Wiley’s Town Hall events were run, and create an engaging experience for their customers. In this webinar, Nicole will walk you through how they went beyond traditional event formats and presentations to create a Town Hall that was driven by their customers with AdvocateHub, and how they drove event ROI including increased NPS scores, community members, and training registrations.